North Korea's largest political prison camp is expanding its operations, according to the most recent images of the penal labor colony. Using Google Earth satellite imagery, Curtis Melvin of the U.S.-Korea Institute at Johns Hopkins University, told Radio Free Asia that the aerial snapshots from Oct. 15 indicated considerable changes have been made to Camp No. 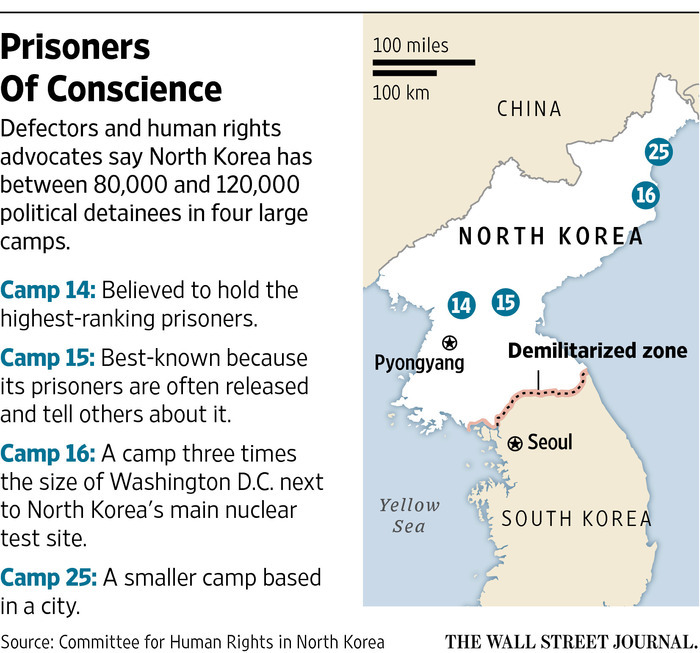 16.Hwasong gulag, or Camp No. 16 in 2013. New Google Earth satellite imagery of North Korea's largest political prison showed that North Korea is planning an increase in the population of inmates. Melvin said the new changes included dams, hydroelectric power plants, apartments for the camp's guards, an athletic field, a mine and fish farms. These facilities were not visible in satellite imagery taken in 2013. Following a massive release of prisoners in light of Korea’s liberation day from Japan’s colonial rule on August 15, Pyongyang issued a second round of pardons for prisoners ahead of the recent 70th anniversary of the foundation of the Workers’ Party celebrated on October 10. The release was carried out across two days -- October 8, 9 -- but most prisoners were said to be in dire condition, either suffering from malnutrition or having fallen sick. Although state propaganda promoted the sweeping amnesty as an act of benevolence from Kim Jong Un, the released prisoners would not have been able to continue serving their sentences due to their ailing conditions, Daily NK has learned. Following a massive release of prisoners in light of Korea’s liberation day from Japan’s colonial rule on August 15, Pyongyang issued a second round of pardons for prisoners ahead of the recent 70th anniversary of the foundation of the Workers’ Party celebrated on October 10. The United Nations has begun to look into ways to refer the North Korean human rights situation to the International Criminal Court. A South Korean government source speaking to News 1 on the condition of anonymity said a draft resolution is being created under an initiative led by the European Union and other countries concerned with North Korea human rights violations. Prisoners in North Korea’s political prisons, “reform through labor” camps, and short-term detention facilities face back-breaking forced labor in difficult and dangerous conditions, sometimes in winter elements without proper clothing or adequate housing. Prisoners enter this forced labor regimen weakened by near starvation level food rations and little or no medical care. They work in logging camps, mines, and farms without protective equipment, overseen by guards who use physical and psychological abuse to compel the work, and inflict sexual abuse. The UN Commission of Inquiry has said that it found crimes against humanity in North Korea. The commission urged the international community to respond and investigate the case properly. Michael Kirby, Chairman of the Commission of Inquiry on North Korea, told a news conference in Geneva: Crimes against humanity have been found and it is not open to the world community to turn away. It is the duty of the world community when there have been findings that there is a reasonable case for crimes against humanity, it is the obligation of the international community to respond and have those matters properly investigated and if found to warrant prosecution brought before an appropriate court or tribunal. That is an obligation of international law. In February 2014, the commission established in its report that between 80,000 and 120,000 political prisoners were detained in four large political prison camps, where deliberate starvation had been used as a means of control and punishment. The commission also found that, since 1950, the States violence has been externalised through State-sponsored abductions and enforced disappearances of people from other nations. These international enforced disappearances are unique in their intensity, scale and nature, the report said. [IBT]. The United Nations has opened an office here aimed at prodding North Korea to close a network of prison camps it says are holding thousands of political prisoners and to build a fuller picture of human rights abuses within the hermetic country. The six-person office is the latest step in a process by the U.N. to gather information about alleged crimes against humanity in North Korea. Early last year, a U.N. commission of inquiry issued a 400-page report that alleged widespread and systematic human rights abuses in North Korea. The North Korean authorities released thousands of prisoners from the country’s re-education camps [kyohwaso] to mark the 70th anniversary of country’s independence from Japan. A car with blaring loudspeakers and advertisements announced that the first batch of amnesties has been enacted, and that the second batch will be granted in October to mark the 70th anniversary of the foundation of the Workers’ Party of Korea [WPK]. “Last month on the morning of the 15th, amnesties were dispersed to certain prisoners kept at 12 different‘re-education’ camps throughout the country. 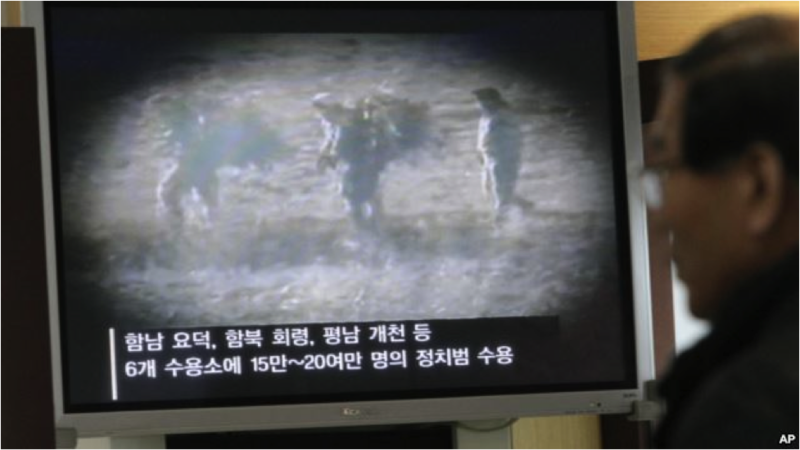 The sentence reductions and releases are being divided up between two different dates in order to coincide with important historical dates on August 15th and October 10th,” a source in North Pyongan Province reported to Daily NK on September 2nd. The United States on Tuesday launched a human rights campaign calling for the release of female political prisoners and other prisoners of concern around the world, including those in North Korea. The #FreeThe20 campaign comes ahead of an international women's rights conference to be held at the United Nations later this month. The conference is known as Beijing+20 conference as it comes 20 years after a similar conference held in the Chinese capital. In the campaign, the U.S. singled out 20 cases of women prisoners around the world, including Wang Yu of China and Khadija Ismayilova of Azerbaijan, and called for their immediate release. The list also included an "unidentified" prisoner in North Korea. 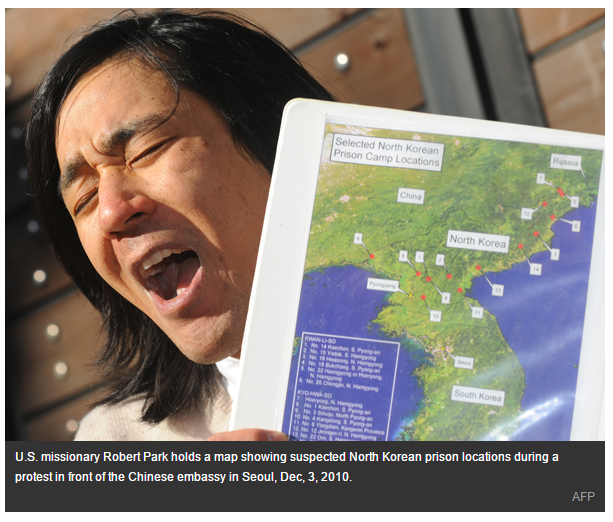 "I will say that there are more than 100,000 political prisoners in North Korea that we know about, and the conditions in the network of prisons in North Korea are unspeakable, the risk to any specific individual in those prisons excessive," U.S. Ambassador to the United Nations Samantha Power said during a briefing. "And so all things considered, the judgment was made, number one, there are so many political prisoners that singling any one woman out -- or girl out, for that matter -- in a way wouldn't reflect the scope and the scale of the challenge. And two, again, that the risk could be substantial to that individual," she said of the reason to include an "unidentified" North Korean prisoner.